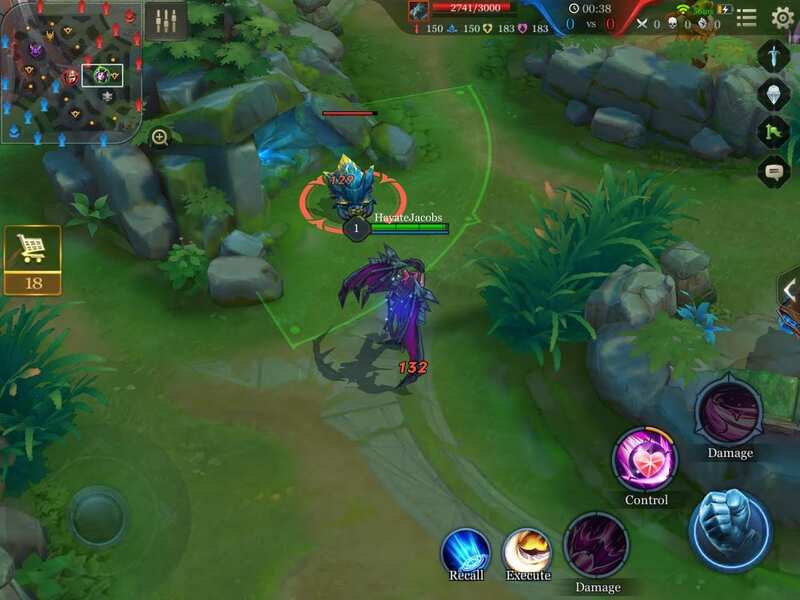 Guide to the lanes of Arena of Valor, included are the name of each tower, recommended lane for each class, and what to do at a lane. Heroes have to make their way through the lane in order to reach the core. This page will go over what a lane is, which lane to go to, and what to do in a lane. Each lane has its own name, and they are frequently used in the in-game chat. 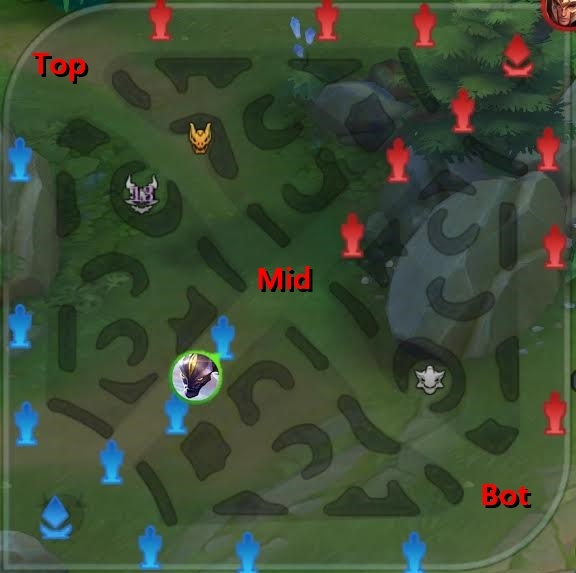 The lane located on the upper side of the map is called top lane. It is often referred to as Top. The lane in the middle is called middle lane. It is referred to as Mid in in-game chat. The lane located on the lower side of the map is called bottom lane. It is called Bot as a form of shorthand. Also, the lane that is closer to the Abyssal Dragon between top and bottom is sometimes referred to as the Abyssal Dragon lane. Similarly, the lane which is closer to the Dark Slayer is referred to as the Dark Slayer lane. Assassin High attack damage and movement speed. Marksman Powerful normal attacks suited for killing enemies and destroying towers. Mage Powerful abilities that have a wide range. Support Can buff or heal teammates. It is very inefficient for classes with low attack damage such as mages to jungle in the early game. Unless jungling is necessary, head towards a recommended lane and kill the minions for gold and experience. Killing minions and preventing the opponent from attacking the tower is any class’s first priority. After killing the minions, look at the map to see if there’s a need to help other lanes. Especially during the early games, opponents will not be able to push up to the tower without minions. This means that there’s free time in between minion waves. Though not necessary, make use of this free time by helping out teammates or by killing the monsters in the jungle.